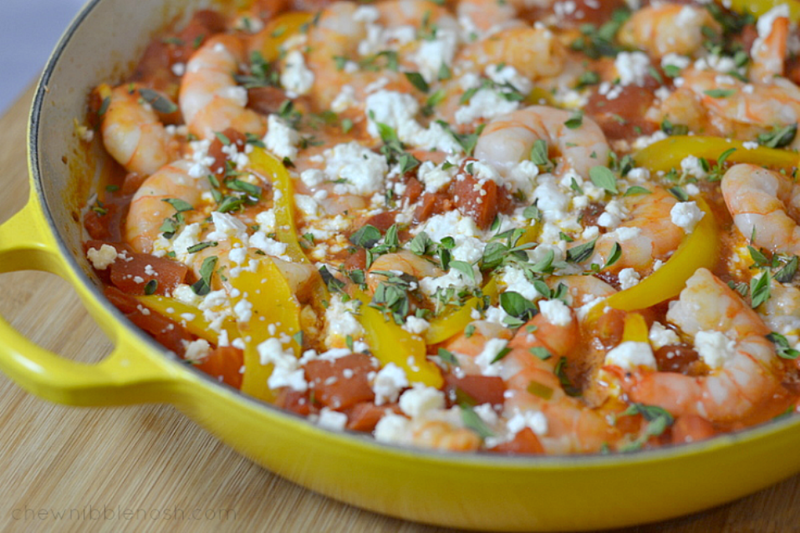 In a large ovenproof skillet, heat the olive oil over medium heat. Add the green onions, garlic, and yellow pepper, and cook until the onions have wilted a bit, and the garlic and peppers are fragrant, about 2 minutes. Pour in the diced tomatoes, and their juices, and stir to combine. Season with salt and pepper, and allow the mixture to come to a boil. Allow to simmer for about 5 minutes, or until the sauce has thickened a bit. Remove the pan from the heat and stir in the shrimp. 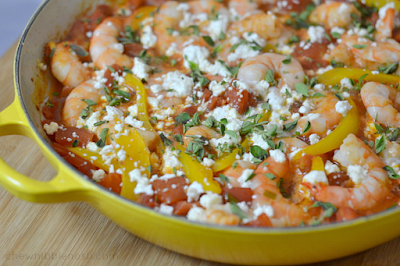 Sprinkle the crumbled feta over the shrimp and sauce. 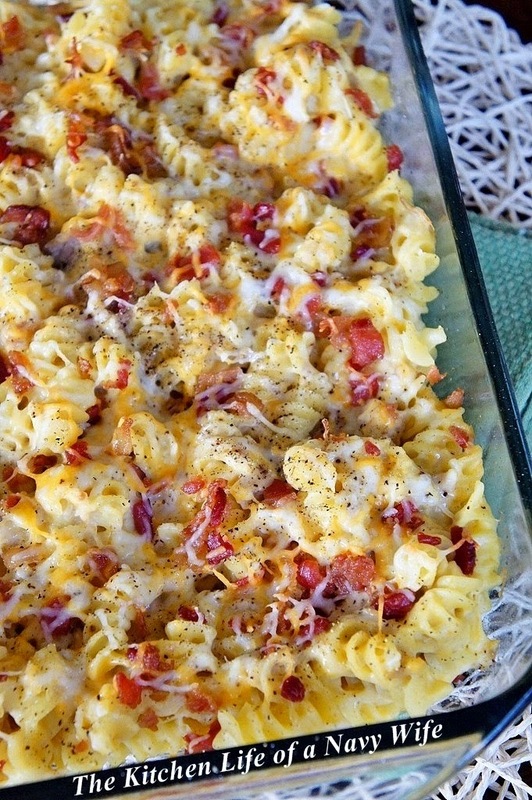 Place the pan in the oven, and bake for 10 minutes, or until the shrimp are pink and firm, sauce is bubbly, and the cheese starts to melt. Meanwhile, cook the orzo in salted boiling water according to the package, and drain. mixture over the cooked orzo to serve.